I’m not going to lie: teaching songwriting terrifies me. I do it one or two days every week, and it still terrifies me. I’m terrified of saying too much and pushing writers down a path that’s not right for them. I’m terrified of saying too little and leaving them fending too much for themselves. But then, if there’s one thing I’ve learned as a songwriter over the years, it’s that being able to think on your feet is probably the most important skill any songwriter – and maybe anyone – can learn. Because, if I’m completely honest, despite having a masters degree, and despite having read most of the major songwriting books (and also writing one of them), every time I start a new song I still end up staring at a blank page or screen feeling like I don’t know anything. Because, if I’m completely honest, I don’t. Because every new work of art – if it’s at all original – starts with you not knowing anything about it. And this idea is central to the education work I do. How do you give songwriters the theories, ideas and techniques they need to succeed, while also giving them the courage to start with nothing and turn it into not just something, but their version of something? In general, my answer has been to focus on the basic, fundamental ideas of songwriting – how melody works, how structure works, why prosody is important – while encouraging writers to try these ideas out in their own, to learn their lessons first-hand, not just via me and the way I’ve tried to communicate them. In virtually every piece of content I’ve created for my site, The Song Foundry, in my book, The Art of Songwriting, and in my one-to-one coaching work, my goal is to cover the fundamentals, then let writers try things out, fail, get stuck, get unstuck and just see what happens. To me, that’s where songwriting education – or any kind of creative education – is different from say, teaching French or physics or a new fitness plan. ‘Je suis’ will always mean ‘I am’. Force will always equal mass times acceleration. Barbell curls will always work your biceps. In songwriting, a C chord will nearly always work great after a G chord, but who’s to say this song needs a perfect cadence or needs the harmony to move that quickly or even needs to be in C major in the first place? To me, the thrill of songwriting is figuring these things out. It’s making a mess, seeing what you learn from it then trying to make order out of that chaos. It’s not cheatsheets or formulas or step-by-step methods – even from the start. It’s the idea that songwriting can’t be taught, only learnt. So it’s my goal to give songwriters the tools – as well as the courage and the perspective – to teach themselves. To learn what a slant rhyme is at the same time they’re learning what their voice is. To learn why a bridge usually has a fresh chord progression at the same time they’re learning whether they want to include one in the first place. Every great work of art breaks the mould in some way. So instead of putting songwriters through exercises, methods and formulas and then hoping they learn to break out of the box they’ve been put in, I prefer to keep things real-life messy from day one. Because in both sides of my career – as a theatre/film songwriter and music educator – virtually everything I’ve been proud of creating couldn’t have come from a formula or method. Virtually everything I’m proud to put my name to came from taking a risk and doing things my way. And virtually everything I’m proud to have made didn’t just come from knowing any theory – it came from being excited to dive in and make a mess. And that’s a joy I’m always happy to pass on to new songwriters. 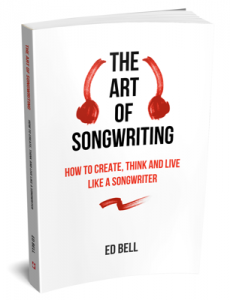 Ed Bell is a songwriter, educator and entrepreneur. 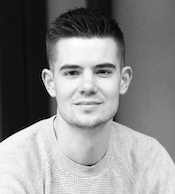 He’s written songs for Oriental DreamWorks, edited music for ITV and worked on over a hundred creative projects across the globe. He created The Song Foundry, one of the internet’s leading songwriting resource sites, wrote the bestselling book The Art of Songwriting and works regularly as a songwriting coach and lecturer.